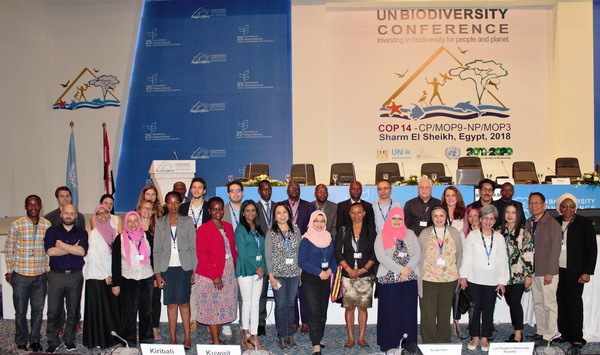 Dr. Christiana Paşca Palmer, Executive Secretary of the United Nations (UN) Convention on Biological Diversity observed that since the convention came to force 25 years ago, meaningful progress has been achieved in conservation and sustainable use of biodiversity. Dr. Palmer, however, emphasized that these successes are not enough to halt the ongoing loss of plant and animal diversity on earth, urging all Governments to gear up efforts in conserving biodiversity. The two weeks of deliberations and multilateral negotiations closed with a broad international agreement on reversing the global destruction of nature and biodiversity loss threatening all forms of life on earth. To combat this crisis, Governments agreed to accelerate action to achieve the Aichi Biodiversity Targets, agreed in 2010. The meeting also agreed on a comprehensive and participatory process for developing the post-2020 global biodiversity framework anticipated to be agreed upon at the next UN conference in Beijing in 2020. The ISAAA delegation participated in the meetings, making statements on biosafety items in the conference agenda. ISAAA also co-hosted a side event on LMOs, synthetic biology and digital sequence information (DSI) on genetic resources. The event was co-organized by the Alliance for Science (AfS), the German Association of Synthetic Biology, International Genetically Engineered Machine (iGEM), Public Research and Regulation Initiative (PRRI), and SynBio Africa. For more information, contact knowledge.center@isaaa.org.